During the live remote broadcast of RMWorldTravel on 26 January 2019, from The New York Times Travel Show, Robert, Mary and Rudy were joined by Show Friend Allison Scola of Experience Sicily. 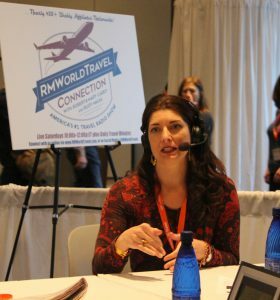 As she had just returned from Sicily, she shared some of the current happenings and news, while sharing her passions for the island and how she helps travelers experience its history, culture and foods. You can hear an archive of this live interview by clicking on the play arrow immediately beneath this text. 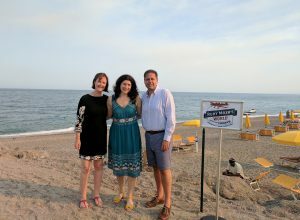 The Italian Mediterranean island of Sicily is a place filled with rich and diverse history, wonderful foods, award-winning vineyards, plus olive oil groves, citrus and nut plantations, the active volcano Mt. 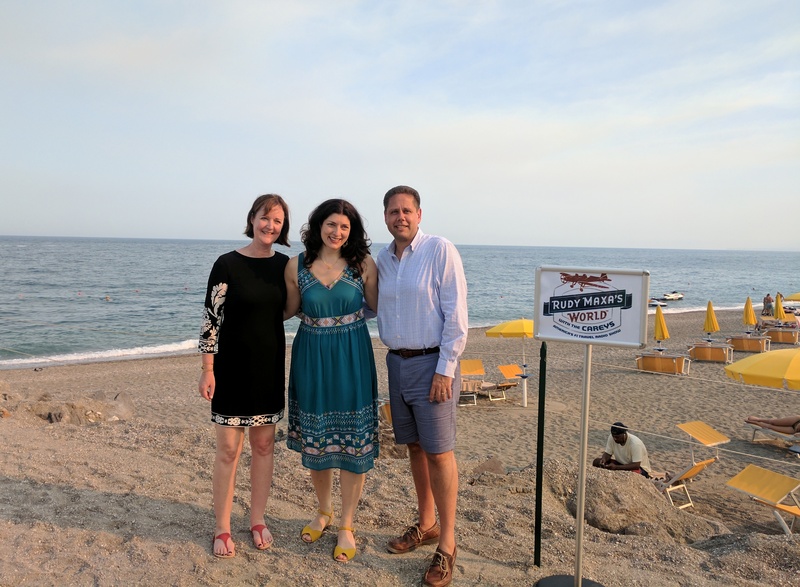 Etna, and more. 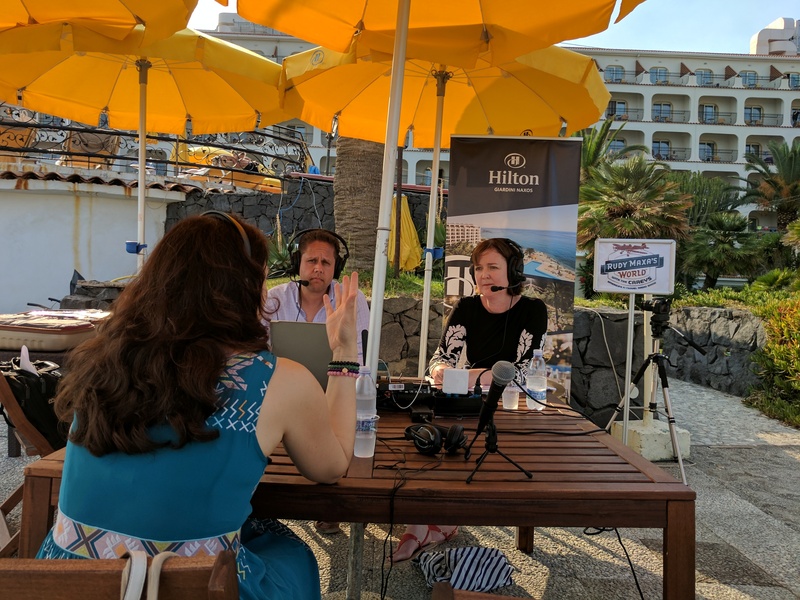 Sicily is about the size of Massachusetts, and during our live remote broadcast from the Taormina area at Hilton Giardini Naxos on 1 July 2017, Experience Sicily founder Allison Scola stopped by to talk with Robert & Mary about this complex and alluring island. 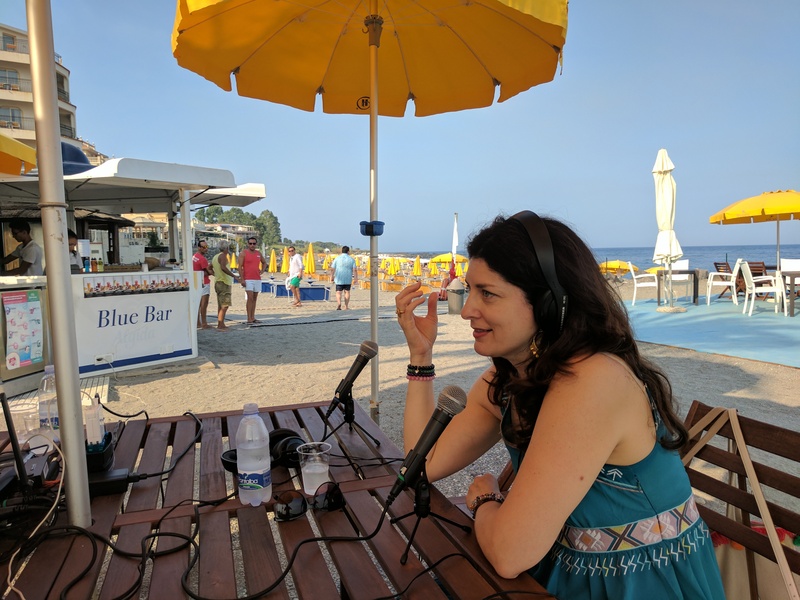 To hear her take on why Sicily should be on your destination list, simply click the highlighted link with her name above, or use the play button below.